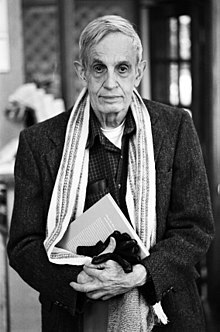 We learned, at the end of last month, that the mathematician John Nash had died, with his wife Alice, in a traffic accident. Nash’s work on game theory, for which he won a Nobel prize alongside John Harsanyi and Reinhard Selten, has relevance to many areas of public life, from international trade negotiations to war strategy. And, as it turns out, it is highly relevant for marketing, too. Game theory conceptualises decision-making as a game with two or more players. Like with any other game, my choices impact on the other players’ outcomes and, thus, the other players adjust their behaviours according to my moves. This means that, when we make a decision, we need to factor in how the other players might react to our actions. For instance, when weighting in the possibility of cutting prices, I need to think about what my competitors will do (e.g., start a price war? ), and what that will mean for my profits. In game theory, the modelling of the other players’ likely reactions is based on the expected payoffs of various alternative actions, for myself and the other players. In reality, this information is rarely available, at least completely. What we do have, however, is the company’s reputation (e.g., for always matching price cuts, for bringing innovative products to market, or for delivering great service). These reputations work as signalling mechanisms, telling us the likely actions or reactions of the various players, encouraging competitors to try and occupy different segments of the market, rather than fight head on. Prior to Nash’s work, the analysis of negotiations was based on the principle of pure conflict. That is, the assumption that the two (or more) players have no interests in common so that one player could only improve their situation by leaving the other one(s) worse off. However, Nash’s work framed negotiations as ‘non-zero sum’ games, in which the players have some complementary interests. So, they will maximise their gains by engaging in a mixture of competition and cooperation. For a marketing example, think about the smart watch market. They can improve their situation by fighting each other for market share (for instance, through price cuts, or by tying customers in long term contracts or proprietary technology). But, they can also gain by cooperating with each other on things like agreeing technical standards, or educating consumers, in order to grow the overall market for smart watches. In summary: 1) think about how other people will react to your actions, and 2) if you want to get a bigger slice, make a bigger pie. It’s quiet simple, really; and that is the brilliance of Nash’s work. Posted on June 9, 2015 June 5, 2015 by anacanhotoPosted in Marketing in everyday lifeTagged Competition, Cooperation, Game Theory, Nash, Signalling, Smartwatches. The game theory is one of the most interesting theories in marketing. And as you say, it’s rather simple – that’s what means it ingenious! the suppressor, or a defective telegram. experienced linesman. Some other cause for this bathroom be water supply reeking on galvanic parts. Washing Motorcar is non spinning. The just about likely understanding for this is a trouble with the force bash. It could be liberate and has fall turned or is confused. Another ground is a defective motor.